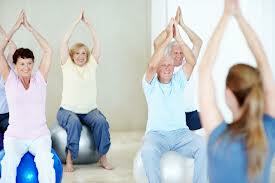 Pilates works to defy and even reverse the aging processes. Nowdays we are living longer, medical advances allow us to recover from illnesses and injuries which we would not hav recovered from in previous years, Daily tasks such as watching television or driving in cars changes the way a body ages and and can hinder an mature persons ability to stay strong and healthy. Exercise is important in any stage of life but more so as we pass 30. Pilates has an abundance of benifits which stem from the improvment of ones fitness, to helping reduce stress levels and general wellbeing. 1. Maintaining muscle mass – which aging decreases. 7. New found energy and positive attitude.